Mark was born in 1968 in Winnipeg, Manitoba, Canada. He became interested in guitar and music at the age of 16. Mark is a self- taught guitarist/vocalist. Mark specializes in performing cover songs and his musical style is extremely eclectic/versatile and varies from classic rock, modern rock, alternative rock, folk, country, and indie rock. Currently Mark has well over 300 songs that he performs live. Some of Marks musical influences are Jimmy Page (Led Zeppelin), Jimi Hendrix, Eric Clapton, Stevie Ray Vaughan, Keith Richards (Rolling Stones), Neil Young, Damien Rice, Adele, Glen Hansard, Eddie Vedder (Pearl Jam), Chris Cornell (Audio Slave), Garth Brooks, and Rascal Flats. Mark was amazing. He was responsive and encouraging. I was planning a surprise event for my wife. Mark even went to the event site and scouted out before hand to make sure things went smoothly. Mark's performance was perfect. It was exactly what I was hoping for. Mark was the key highlight of the event and he helped make it special. His guitar playing and singing were excellent. You can expect to hear a great line up of popular cover songs. I 'read' the crowd/audience and tap into that demographic. I play diverse types and styles of different music so everyone in attendance can enjoy! Mark was born in 1968 in Winnipeg, Manitoba, Canada. He became interested in guitar and music at the age of 16. Mark is a self- taught guitarist/vocalist whose musical style has evolved over the years. Mark specializes in performing cover songs and his musical style is extremely eclectic/versatile and varies from classic rock, modern rock, alternative rock, folk, country, and indie rock. Currently Mark has well over 350 songs that he performs live. Some of Marks musical influences are Jimmy Page (Led Zeppelin), Jimi Hendrix, Eric Clapton, Stevie Ray Vaughan, Keith Richards (Rolling Stones), Neil Young, Damien Rice, Adele, Glen Hansard, Eddie Vedder (Pearl Jam), Chris Cornell (Audio Slave), Garth Brooks, and Rascal Flats. 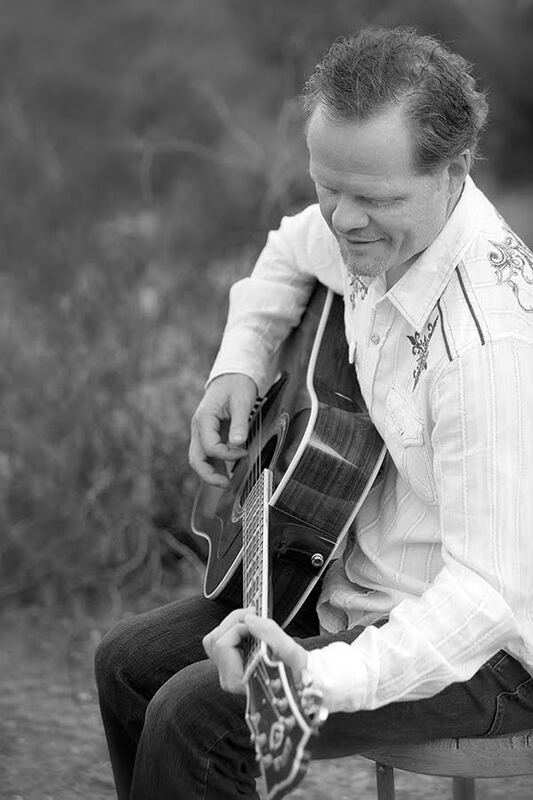 For the past twelve years Mark has been performing acoustic guitar and vocal acts throughout the valley. He has performed at different venues such as The Royal Palms, Phoenix Convention Center, Phoenix Country Club, Troon Golf Resorts, Oktoberfest, and various musical festivals to name a few. Mark can also be seen at local bars/restaurants throughout the valley such as The Herb Box (various locations), Salt & Lime, Isabella's Kitchen at the GrayHawk Golf Club, Mesquite Grill at the McDowell Mountain Ranch Golf Club, Kona Grill, Blue Adobe, Venue’s Café, Cantina Laredo, Fatso’s Pizza, Twisted Lizard, The Culinary Drop Out, Skeptical Chymist, Rythym and Wine, Buffalo Chip Saloon, Long Branch Saloon, and Lush Burger to mention a few. Mark also plays at private and corporate functions. I use a state of the art sound Bose L1 Model II sound system and can bring lights upon request. I simply need one outlet to plug into.